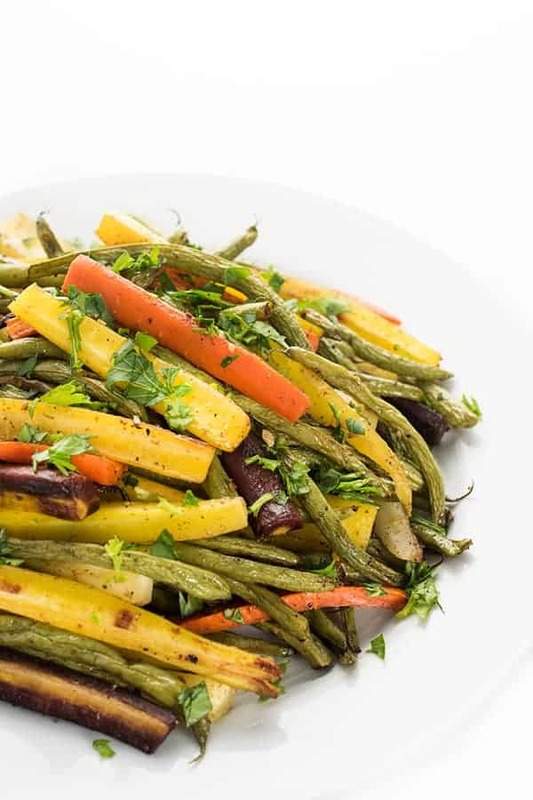 This easy, delicious side dish of carrots and green beans roasted in olive oil and za’atar is perfect for spring entertaining or a simple weeknight dinner. Earlier this spring we celebrated Passover at my mother’s new house just a mile away. It’s actually pretty funny because my mother isn’t Jewish and neither are all of her relatives who take part in our annual Seder. Although my grandmother, Ema Ljuba, was conducting her own Seder miles away in California, she was with us in spirit the minute I opened my mom’s front door and smelled Ema’s Famous Beef Brisket. One of my favorite parts of the Seder is when the youngest child in the room gets to recite the Four Questions of Passover. Here’s a photo from Jacob’s first seder four years ago. Can we discuss those cheeks? 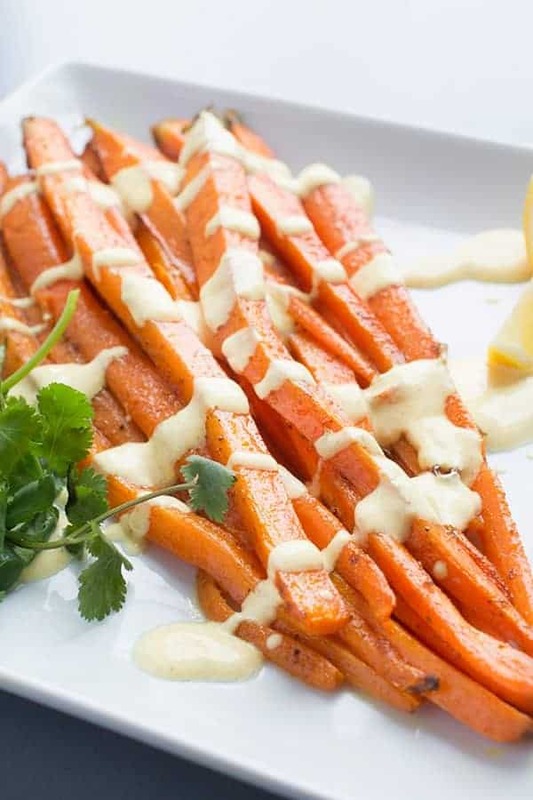 Roasted carrots and green beans could not be easier. Trust me, juggling two little ones and trying to get ready for a major holiday requires only the easiest recipes. In addition to this side dish, I also brought my traditional Middle Eastern/Lebanese Green Salad dressed with lemon, mint and more za’atar. These smoky, nutty flavors really bring out the fresh, bright flavors of vegetables. Fancy enough for Easter dinner, easy enough for a quick weeknight meal and delicious enough for any time of year – I hope your family loves it as much as mine did. 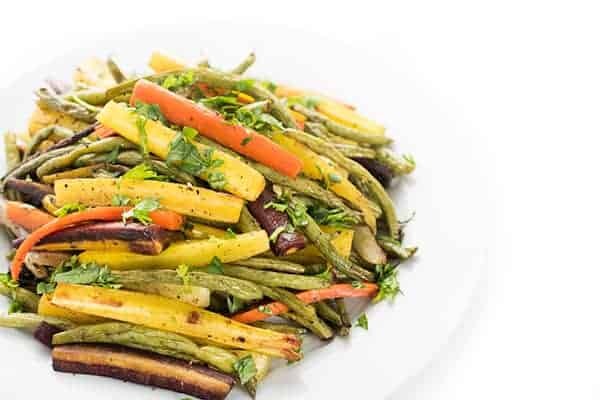 This easy, delicious side dish of carrots and green beans roasted in olive oil and za'atar is perfect for spring entertaining or a simple weeknight dinner. Pre-heat oven to 425 degrees and have two large baking sheets ready to go. 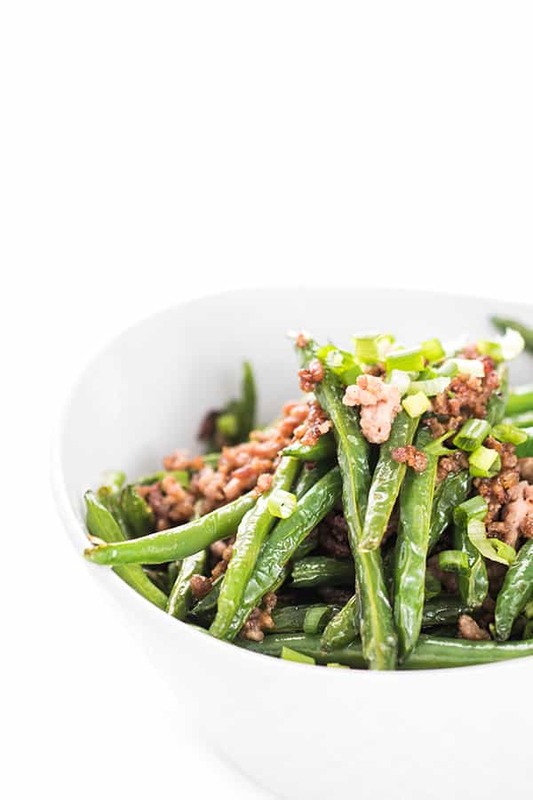 Using two large bowls or resealable plastic bags, fill one with carrots and one with the green beans. Toss both batches to coat and spread on to even layers in two separate baking sheets. 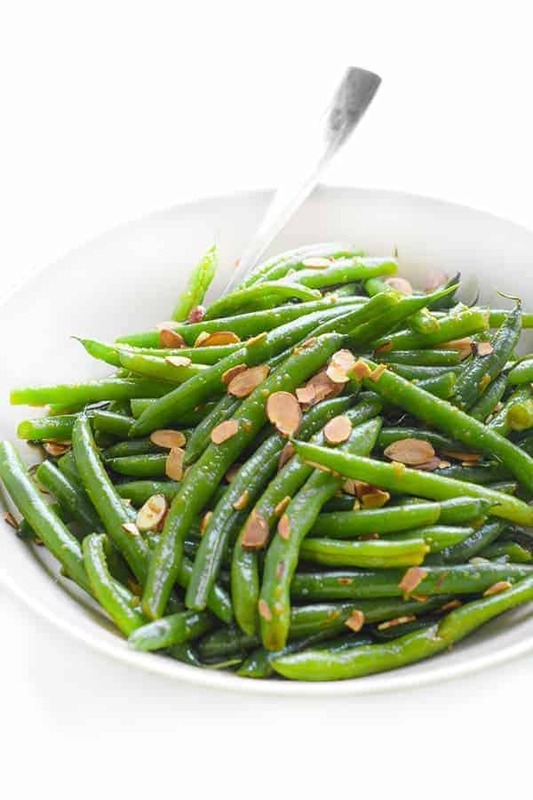 Place carrots and green beans in the oven and roast until nicely browned: 15-20 minutes for the green beans and 20-25 minutes for the carrots. Remove from the oven and serve separately or in one dish. If carrots are small, feel free to leave whole. If they are larger, slice vertically so that they are approximately all the same size. Looking for more backyard party sides for an upcoming get-together? 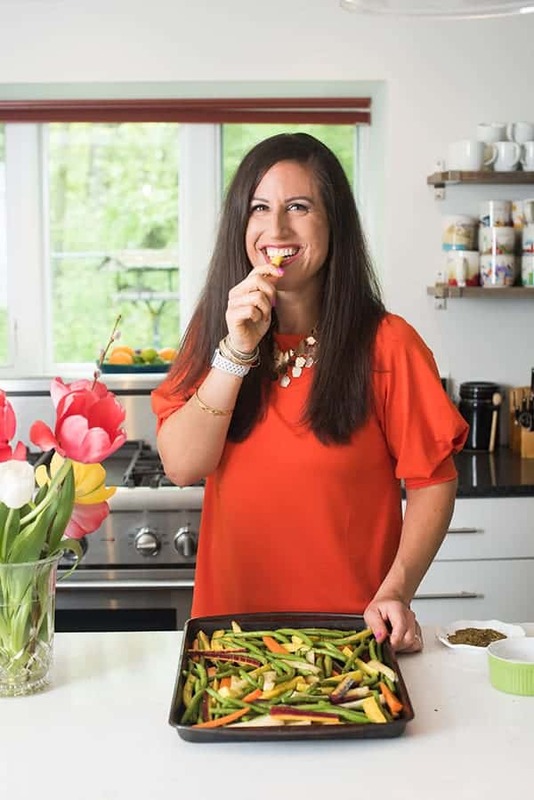 Follow The Lemon Bowl | Liz Della Croce’s board Summer BBQ Recipes on Pinterest. 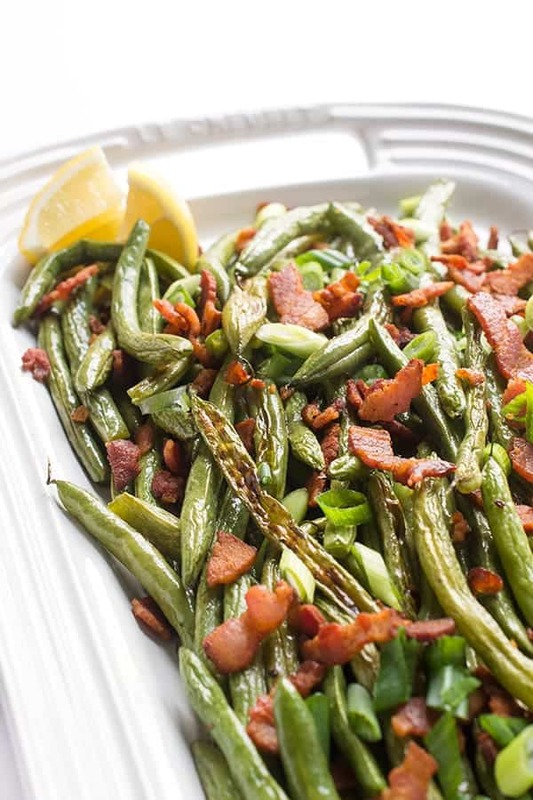 Hi, making thanksgiving meal 2018 and we have a request for green beans plus I wanted something then them. I can across you recipe and adding carrots also is great blend. My question is did you precook the green beans or the carrots before starting the recipe. Thanks. They were all raw! I hope you had a great Thanksgiving! I took these to a potluck Seder a couple days ago. I cooked them in advance and served them at room temperature. I thought they were fine served at room temperature and will do this at future potlucks as well. Oh I’m so happy to hear that Sharon!! Happy Passover! If I make these and need to keep them warm will puttin them in a crockpot after for a while ruin them? Hi, I’m new to cooking, and found your recipe on pinterest. I was wondering why the two vegetables had to be prepared separately? Thank you! 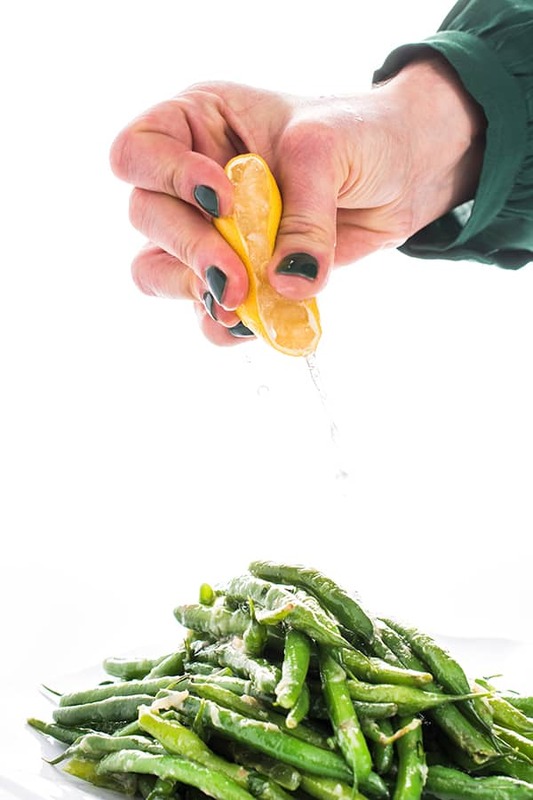 Carrots take longer to cook so cooking them separately ensures the green beans won’t be over cooked! Enjoy! SMALL WORLD! 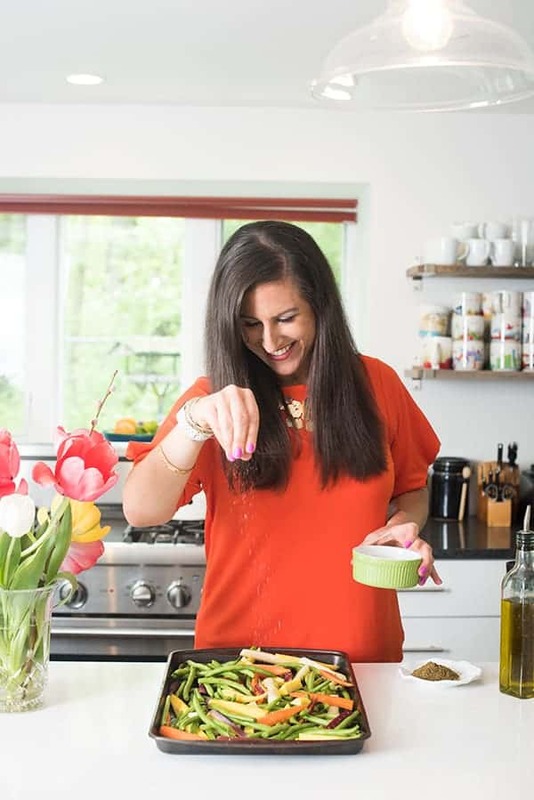 i happened upon your blog while googling recipes that use za’atar and i recognized your grandma! wayyyy back when i was a teenager she worked with the youth orchestra i played in. 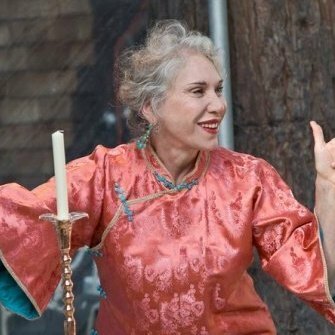 i even remember having gone to her house in berkeley once, though i can’t remember why now. i hope she’s doing well. i always remember her watching us rehearsal way into the night with a big smile on her face. everybody loved ljuba. anyways, thank you for sharing the recipe! i’m excited to make it tonight! I just discovered the spice Za’atar. I was browsing on Pinterest and found your recipe above. When I scrolled down I saw Ljuba’s picture. What a surprise- I work for Jonathan Davis and I know Ljuba. I can’t wait to try your recipe and Ljuba’s recipie for the brisket. Jonny says its really delicious. Thank you for giving me a bright spot in my day. I just discovered the spice Za’atarand was browsing on Pinterest, when I found your recipe above. I looks so delicious. when I scrolled down and saw Ljuba’s picture. You won’t believe this but I work for Jonathan Davis and I Know Ljuba. Great people. I can wait to try Ljuba’s brisket reipe. Thank you so much. Yoru brightened my day. Liz the colts of these vegetables are lovely. Makes me thing Spring may truly get here. I am praying it comes soon!! Za’atar is one of my favorite spice mixes!! I would put it over everything if I could. (And often try to.) I would love these roasted veggies! These look sooo yummy! I first heard about za’atar here, then I saw it used on a cooking show, so now I definitely need to get myself to the grocery store and buy some asap to make these!! Oh good I’m glad you’re seeing it more!! It’s my fav!! I could snack on his cheeks all day long. And also, these veggies! I saw these pans of veg on Instagram and knew I needed the recipe. Love za’atar!! I love how you’re using zaatar. It’s so versatile isn’t it? This is pretty much a perfect garden recipe, love all the freshness happening here! It really is – so ready for spring! Thank you Claire! Happy Friday! I love using Za’atar in cooking and with veggies it goes great What a beautiful delicious side dish! 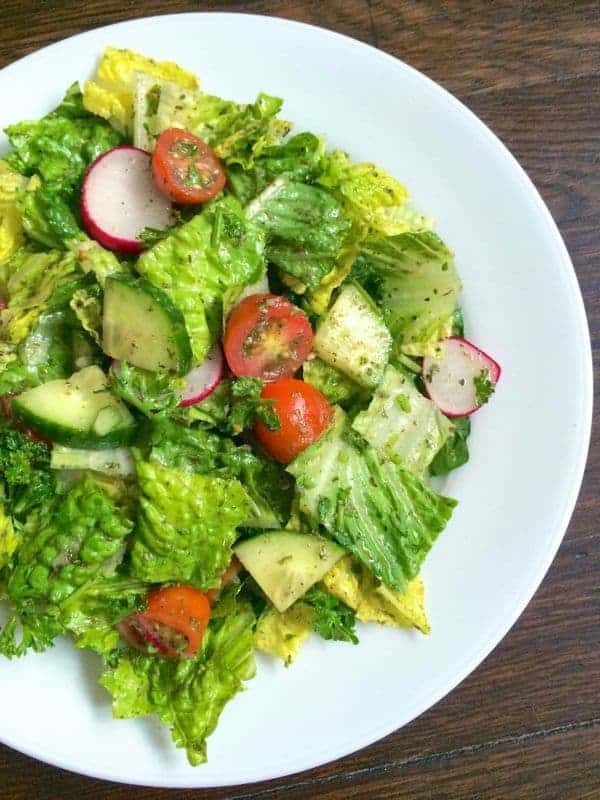 This looks like an incredibly delicious spring dish! We are dreaming of spring here in Michigan!! Thanks Meredith!